Hong Kong, a place that Summergirl and Summerkid have wanted to step into for long. But the high living cost makes us step back, seeing that we are still at entry level in the world of job, saving money for travel has always been difficult. 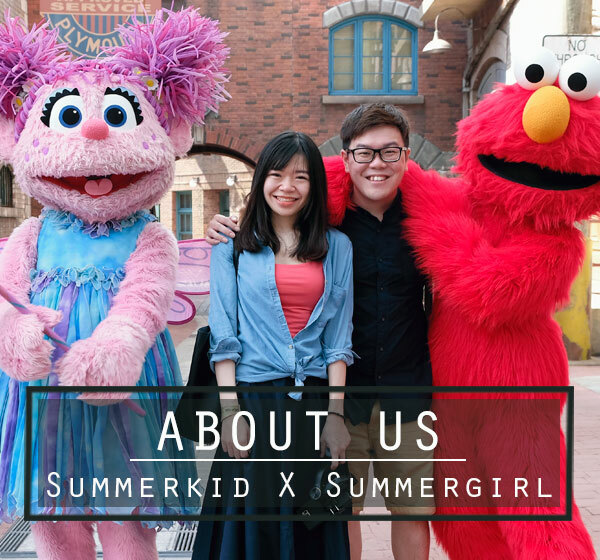 Going to Hong Kong is a sudden decision by Summerkid, so we decided to travel in cost effective way. 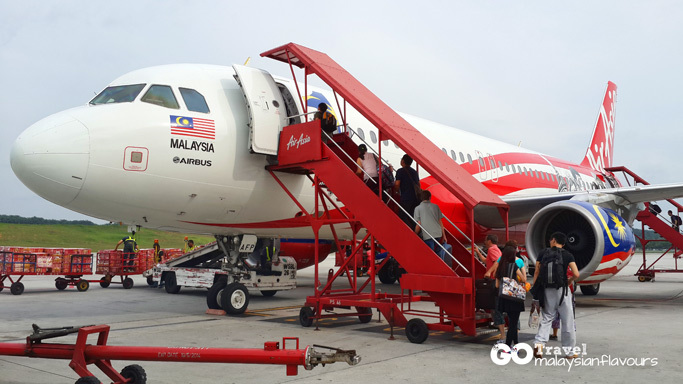 The whole trip cost us about RM2000 per pax including everything from air ticket to accommodation, food, souvenirs, transportation, etc.. We kept ourselves away from buying branded clothes and accessories, and leave much of the time to sightseeing and tourist attractions. We wished to buy more, but perhaps next time , when we are more lose in budget. We landed in Hong Kong at night, 17 degree Celsius. Not freezing cold, but still. ~cold~. 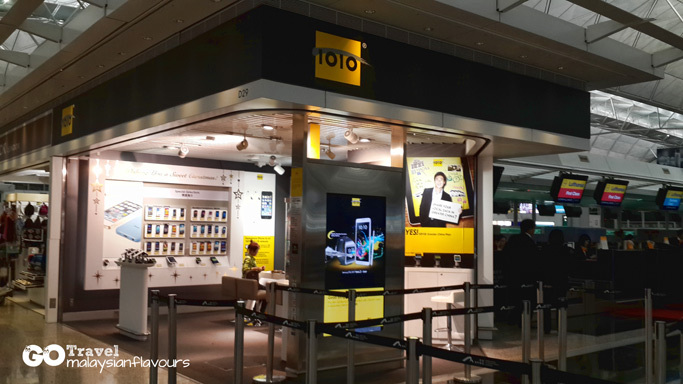 After checking out from custom, we headed straight to 1010 at the second floor of Terminal 1 and bought a One2free SIM card (HK88) which entitled us to 7 days Pass with unlimited access to 3G internet. We highly recommend all visitors to bought this tourist mobile broadband pass, as it is really useful when you are lost in somewhere and needing a Google map for direction, or looking for a good restaurant nearby to you. You might say that: why not ask around to reach your destination? Yes, it can be the way. However seeing that the locals are not as friendly as Taiwanese, and they have no patient in responding to your questions, we preferred to get help from Mr. Google. How to reach Golden Sands Hotel？ We then took bus A21 to Jordan, where our hotel located. Bus from airport to the city is very convenient, as they have taken all the troubles that may happen to tourists into concern. 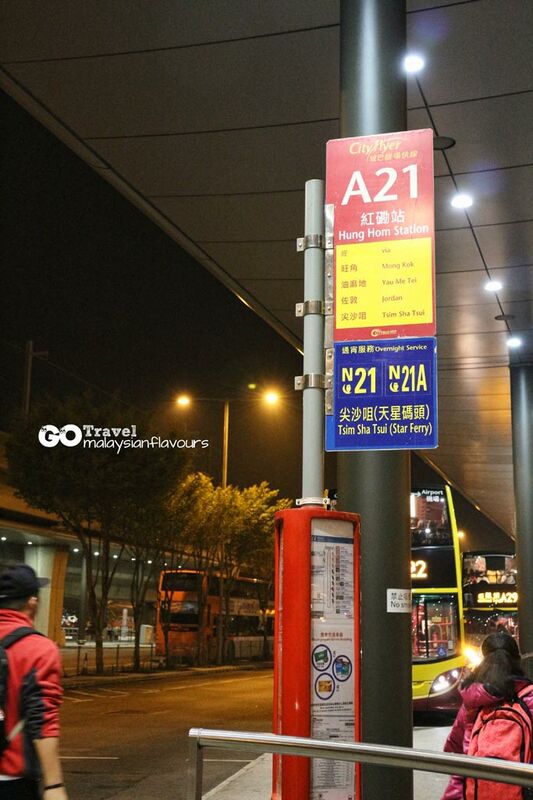 Just follow the huge sign board in airport to reach the bus waiting area and board the bus accordingly. 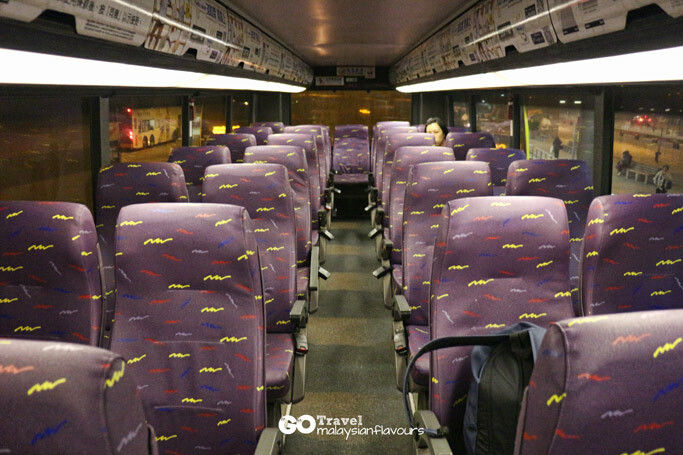 At HK33 per trip, the bus is very comfy, and provides a special area for luggage. LED signage is available too, to indicate us the next locations. What noteworthy is, there is even intro of relative tourists attraction for each stop. 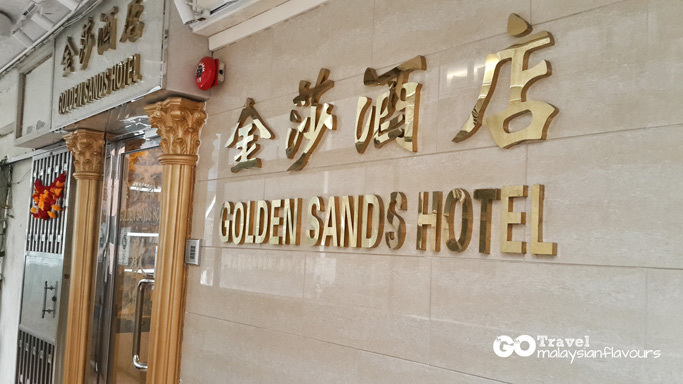 We stayed at香港金莎酒店 Golden Sands Hotel for 5 nights. 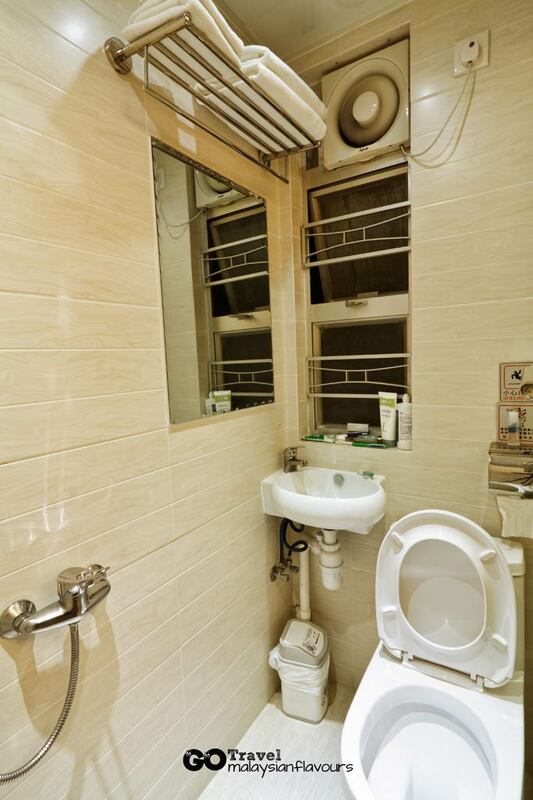 Golden Sands Hotel is the brand new hotel managed by owner from Golden Wave Hotel金濤酒店, which is also just a stone throw away from Golden Sands Hotel. So the hotel is also mentioned as New Golden Wave Hotel 新金濤 by many. The room is really small, with no walking space after we placed our luggage. So small that we had to close the luggage every time to clear a way to toilet. Bad thing. Open and close the luggage were the actions we repeated most while in hotel. Even the double bed is smaller than a standard queen size bed. 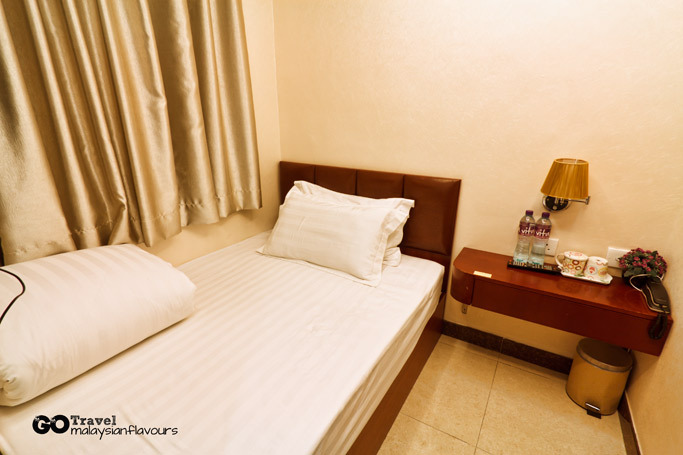 Though small, the room is clean, completed with basic amenities such as towels, hair dryer, in-room shoe, shampoo, body shampoo, etc. Also, the location is very strategic. Just one minute to reach Jordan MRT station. These good Another thing is, the owner and lady owner are so friendly, always wore a smile , and directed us to all the must-haves in Jordan, Mong Kok and Yau Ma Dei once we reach! Thank you! //Both Golden Wave and Golden Sands Hotel are similar, you can also check out details of Golden Wave Hotel here: http://goldenwavehotel.blogspot.com/. For further enquiry, you can contact Mr. Patrick Chung at +852-2957 8288，+852-2314 8268.